Marc E. Masters Attorney Profile | Bird, Marella, Boxer, Wolpert, Nessim, Drooks, Lincenberg & Rhow, P.C. Marc is of counsel at Bird Marella. He represents clients at trial, in arbitration and in parallel civil/criminal investigations. His practice focuses on complex business disputes that are litigated in federal and state courts, including claims involving the False Claims Act, intellectual property, breach of contract, and commercial fraud. Marc was trial counsel for the world’s largest manufacturer of plastic pipe products in a federal False Claims Act case in which over 45 intervening states, municipalities and water districts claimed damages of over $2 billion. After a two-phase jury trial of claims brought by five bellwether plaintiffs, during which Marc cross-examined two of the five bellwether plaintiffs and a key plaintiffs’ expert witness, the court reduced the five bellwether plaintiffs’ potential damages from about $47 million to only about $2 million, and ultimately declared a mistrial after the jury deadlocked over whether plaintiffs were entitled to recover any damages at all. Marc was co-lead trial counsel for a Silicon Valley start-up that invented cutting edge keystroke encryption software in a copyright infringement and breach of contract action against one of the world’s largest internet security companies. Marc presented direct and cross examination of several key witnesses, including the direct examination of our primary witness. After a three-week jury trial in federal court, the case settled on favorable terms right before closing arguments. The jurors were subsequently polled and indicated that they were prepared to award our client a verdict between $20 million and $40 million. Marc was lead arbitration counsel for a prominent healthcare corporation in a case involving claims for breach of contract and fraud in connection with a $20 million reorganization and merger transaction. Following a one-week arbitration in which Marc presented the opening and closing statements, and performed direct and cross examination of all witnesses, the client received a favorable arbitral award. Marc was counsel for a prominent risk assessment provider in a federal False Claims Act case in which our client was accused of conspiring with numerous co-defendant health plans to provide fraudulent risk adjustment data to CMS, purportedly resulting in inflated patient risk scores and inflated Medicare Advantage capitation payments. Following a successful motion to dismiss the majority of claims against our client, the remaining claims against our client were settled on favorable terms. Marc was counsel for a global non-profit provider of AIDS/HIV healthcare, prevention services, and testing in a federal False Claims Act case in which our client was accused of violating the federal anti-kickback laws governing payments for patient referrals, including payments for linking patients to a Medicare Advantage health plan backed by our client. Following a successful motion to dismiss virtually all claims against our client, the case resolved favorably. Marc is counsel for a start-up and its founder, who invented cutting-edge communications technology for use in tough tactical environments, such as warzones and hurricanes. Marc represents them in connection with an ongoing federal False Claims Act investigation – involving allegations of overcharging for labor costs in government contracts – and a parallel criminal investigation. 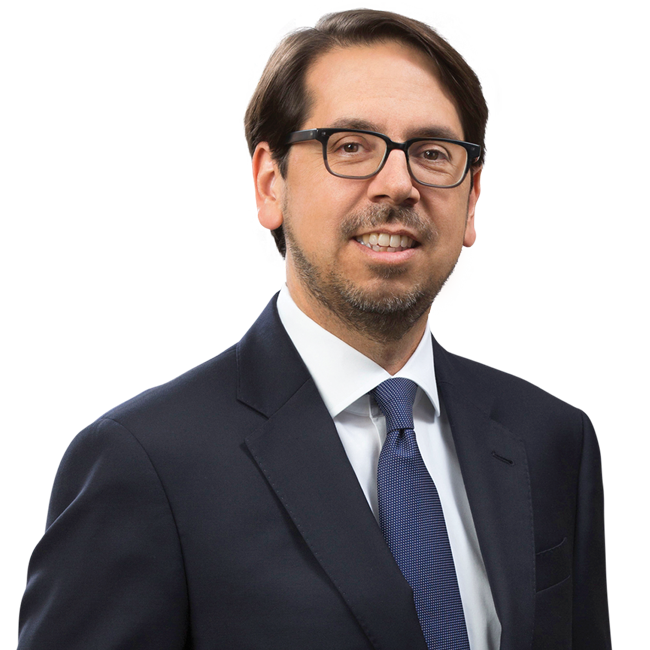 Marc is counsel for a national law firm in a California False Claims Act case in which our client is accused of having caused the submission of false claims for payment to the board of a municipal water district in connection with a groundwater storage program. Marc was counsel for a prominent healthcare corporation that owns and operates independent physician associations and hospitals in a federal False Claims Act case in which our client was accused of defrauding Medicare and Medi-Cal by seeking and receiving reimbursements for the unnecessary hospitalization and treatment of patients. Following a years-long investigation by the United States Attorney’s Office in Los Angeles, the case settled on favorable terms. Marc was counsel for certain physicians in a federal False Claims Act case in which our clients were accused of engaging in a scheme to defraud Medicare and Medi-Cal by paying and receiving kickbacks for patient referrals, admitting and providing unnecessary medical services to patients, and billing Medicare and Medi-Cal for services provided by an excluded person. Following the filing of our summary judgment motions, the case settled on favorable terms. Bird Marella attorneys Gary Lincenberg and Marc Masters successfully obtained a dismissal with prejudice of all charges against a Chicago attorney and NFL sports agent alleged to have participated in a conspiracy to commit wire fraud.